When I was a kid, going to Disney wasn’t a “thing.” We lived in a small, secluded town in the middle of the woods, and cable television was hit or miss; so I didn’t have a foundational love for the Mickey Mouse Club House. With the closest movie theater being an hour away, we also never really saw many Disney movies. Instead, I was raised to love the outdoors; camping, fishing, and raspberry picking were among my favorite activities (still are to this day). Needless to say, when I first met James, and he told me his love for all things Disney, I thought it was weird. Really, really weird. Disney isn’t for adults. It’s weird! The thing is, though, you can’t pick who you love, and you certainly can’t change them, so for a while I just tried to avoid it. He would go to the parks with his friends and family, and my sister and I would go backpacking or hiking, and do, you know, adult stuff. Don’t ask me how, but one gorgeous October day, James surprised me with a ticket to Disneyland. I’m not one to look a gift horse in the mouth, and I also love new experiences; so, at 28 years old, I went to Disneyland for the first time ever. 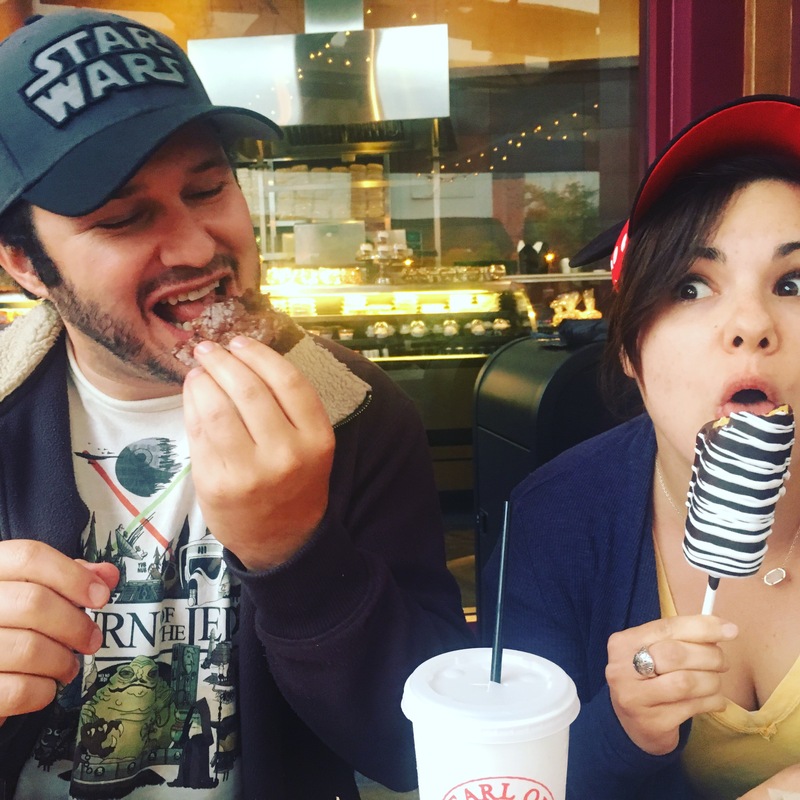 Here are some things I learned about going to Disney for the first time as an adult. I am sorry to anyone who I offended by calling it weird, including James. I was wrong. In my defense, I had no idea what it was all about. Disney does a great job of attracting families to the park by providing entertainment for everyone. If the park consisted only of Fantasyland and the Bippity-Boppity Boutique, we probably would not be Disney regulars, but, lucky for us, there is so much to do. 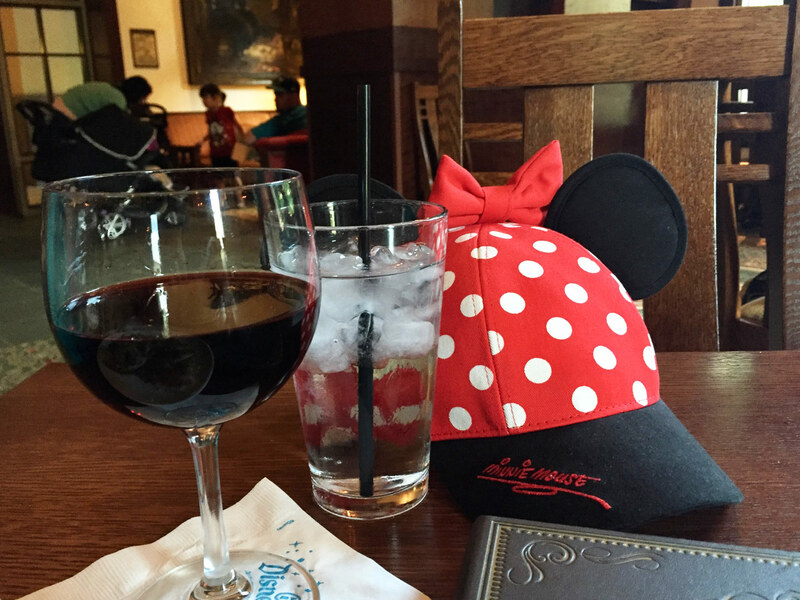 There is a wide variety of activities for Mickeys and Minnies of all ages, but especially the adults! Between the food and wine, live performances, and rides, I found myself wondering (and still find myself wondering) if this place was really made for kids at all or if it was actually made just for adults. Some of my favorite rides/activities include Space Mountain, riding the train, the Animation Studio, Frozen Live at the Hyperion, cocktails at Carthay, and discovering my spirit animal at the Redwood Creek Challenge Trail. I don’t know about you, but being an adult is tough sometimes. One thing that makes it extra tough for me is my long list of dietary restrictions, which I’ll get into with more detail at another time. Long story short, I am not able to eat gluten. I also am lactose intolerant. When I do decide to treat myself to dairy, I usually have a chaser of Pepto or Tums. One thing that is great about Disney is that they are really accommodating to folks like me. If you have a dietary restriction, be sure to ask a cast member for their special menu. Nearly every restaurant has one, and it will tell you which menu items are safe for consumption. Most places will even have the chef come out to explain how the food was prepared to ease any concerns you may have about cross contamination. Talk about the royal treatment! From appetizers to desserts, there is something that everyone can enjoy at the parks. If you are a subscriber to this site, you know that James and his family are the source of all Disney related knowledge. When I go to the park with James, I feel like a VIP. I barely wait in lines, I get lots of awesome freebies, and I feel prepared for anything unexpected that could make me cold, wet, hot, or uncomfortable in any way. If you are not a regular subscriber, you have to read some of these posts to learn how you too can visit Disney like a VIP to get the most out of your experience. I hate to say this, but if I did Disney on my own for the first time while not knowing all of the tips and tricks that James shares with me, I do not know if I would love it soooo much. There is no denying that long lines, angry guests, and unexpected weather are just a few of the ways in which your day can end with a Mickey Melt Down. From my very first visit, I learned that coming prepared with a few essential items can make all of the difference and turbo-boost an already stellar day at the parks. Whenever I go to Disney, I now have a few items that I always bring to make sure I can have the best day possible. These include a Frogg Togg to stay cool, a rain jacket, a change of clothes, water, sunscreen, and a light daypack to hold it all. I also love my new Garmin Vivosmart activity tracker – when you’re at Disney it’s great to track your steps and get text notifications on your wrist. I can’t put my finger on the the exact feeling I had the day I entered the park for the first time, but I would definitely say it felt magical. The minute the energy and positivity hit me, I decided to just put on the mouse ears, and, as fellow anthropologists would say, go “native.” I’m glad I did too. Seeing Disney through James’ eyes and the eyes of the families at the park made me feel good inside. Like good about humanity. I have to say, it helped a lot to hear James tell me nuggets of history about the park and Walt’s vision behind the empire that he created. I basked in the warm glow of something that was born out of a pure, selfless desire to bring joy to people’s lives. If you are going to do anyone a favor by going to Disney, whether it be for a significant other, child, or friend, do me a favor, and just do it all. Let go, forget who’s watching, laugh at yourself, dance in the streets, sing along to the music, scream at the top of your lungs, discover your spirit animal, indulge in your favorite dessert (Dole Whips are life), raise your hand when they ask for audience participation, try not to cry during the fireworks show, and find all of the hidden Mickeys. Also, don’t forget to bring your Mouse Ears. Want more Disney tips and tricks? Be sure to like Guide2WDW on Facebook. ← Check Out The Latest Updates to the My Disney Experience App! Bethany loves the outdoors, camping, and spending quality time with family. As an adult, she's also discovering a love for Disney and going to Disneyland and Disney World. Her favorite things to do at Disney are riding Space Mountain, drawing at the Animation Academy, and trying out of all the great restaurants. She's excited to share her perspective on going from a Disney newbie to a seasoned Disney veteran. I love this post because I have friends who have never been and I hope to take them with me to WDW someday. I know why I love it- first visit at age 5 in the 1970’s and 40 visit since. The magic was put in me as a little girl. I wondered if adults could ever capture that. My guess is, too. that you are a generally happy and intellectually curious person. So that helps.